$8.95 In stock - low quantity. Order in the next 7 hours, 26 minutes and it will go out today! Show three cards, two with pictures of prison guards and one of Harry Houdini himself. 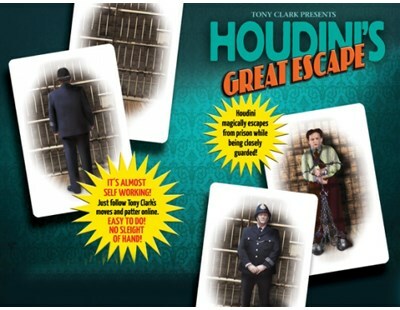 In spite of being surrounded by guards, you guessed it, Houdini manages to escape!